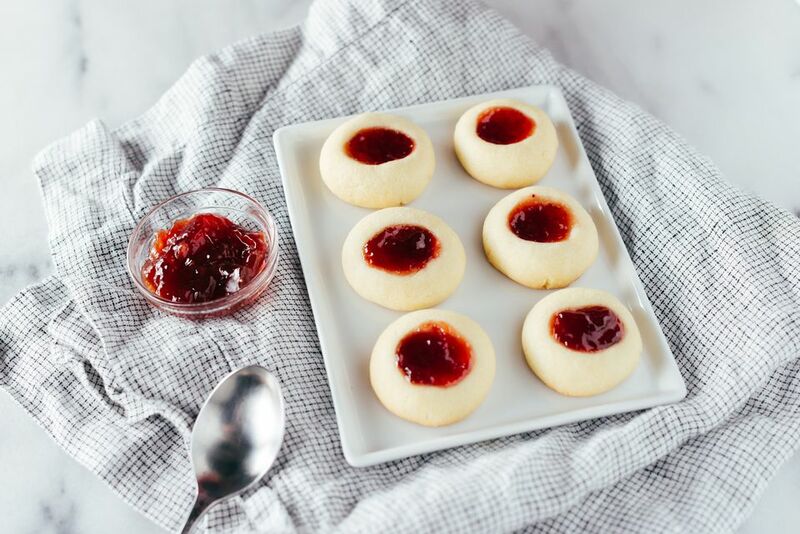 Only six ingredients go into these buttery jam-filled thumbprint cookies. Use your favorite jam or preserves in the centers of these cookies. This recipe was adapted from a vintage Mississippi cookbook. In a large mixing bowl with electric mixer, cream butter and sugar together until light and fluffy. Add egg yolks and vanilla to the creamed mixture; blend well. Stir in the flour until well blended. If the dough is too soft to handle, work in little more flour. Roll dough into small balls. Place on an ungreased cookie sheet. Press a thumb or finger in the center of each ball of dough to make an indentation. Fill the thumbprint with your raspberry or strawberry jam or your favorite jam or preserves. Bake a small first batch, and if the cookies in the first batch spread too much, work a little more flour into the dough. Bake for 8 to 10 minutes, until light brown around edges.